ANU has broken its own world record for ‘most people stargazing at multiple venues’. More than five times as many people participated than in 2015, when the previous record was set. Over 40 000 people gathered at almost 300 locations across Australia on Wednesday evening, including at Fellows Oval and Parliament House. The stargazers all observed the moon at the same time for ten minutes through telescopes and binoculars. 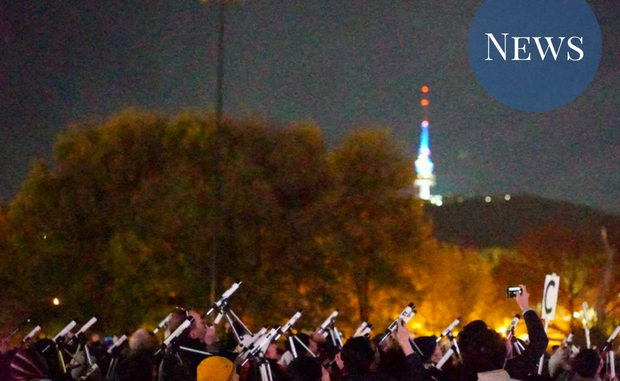 The event sold more than 30 000 low-cost telescopes to facilitate this. Guinness World Records officials were present to verify the record, but the number of participants was so great that they have not yet been able to confirm an exact headcount. This breaks ANU’s previous world record for stargazing, which was set in August 2015. Then, 7960 people stargazed across 37 venues. The world record attempt was part of ABC’s ‘Stargazing Live’ program. The program also featured three television episodes, and a project to get Australians to help locate new supernovae (exploding stars) using an online mapping tool. Dr Brad Tucker from the Research School of Astronomy and Astrophysics said in a press release, “It has been a great showcase of astronomy and all the great work we are doing in Australia.” He said that events such at the stargazing record help “show that science is really for everyone”.